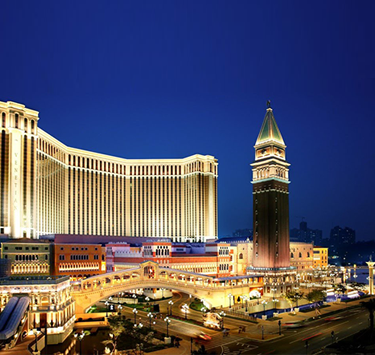 Macau is a special administrative region of the People’s Republic of China, located across the Pearl River Delta from Hong Kong. The tourism draw is based largely on gambling, with numerous casinos and hotel casinos. 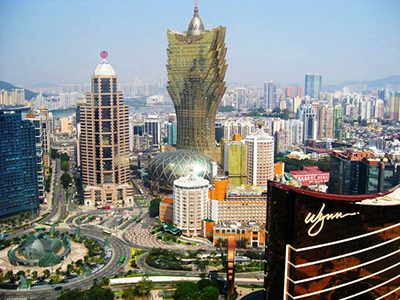 Macau, a former Portuguese colony, offers a rich blend of Chinese and European architecture and culture. A large section of Macau Peninsula has been designated a Unesco World Heritage site. Comprising over 20 ancient monuments and urban squares interwoven in the heart of the city, the historic district is collectively known as “The Historic Centre of Macau” and inscribed on the World Heritage List in 2005. It stands today as a living testimony to the integration and co-existence of eastern and western cultures over a unique chapter in history. Leisurely explore the Historic Centre of Macau – you will discover various magnificent heritages and unveil their wonderful stories! 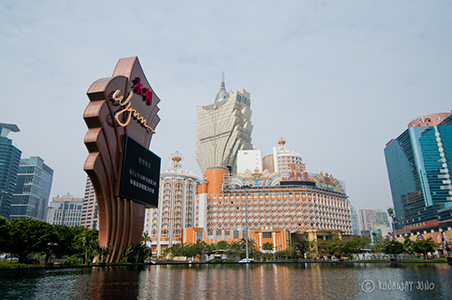 Visiting museums and exhibitions in Macau is an enjoyable, sure-fire way to make your visit more memorable and to gain more knowledge about this fascinating city and its history, plus its culture of ‘East meets West’ over the past four and a half centuries. Finding another place in the world so tiny and with such a rich cultural and historical heritage is probably next to impossible thus a variety of museums in Macau offer visitors a unique perspective on the territory’s chequered past. Professionally curated exhibitions put both traditional and modern themes under the microscope to spotlight the diversity of art and culture which nourishes the city! The World’s Largest Water Extravaganza – City of Dreams and Franco Dragone Entertainment Group proudly present the world’s largest water extravaganza – The House of Dancing Water. This breathtaking show is staged in the purpose-built Dancing Water Theater which features approximately 2,000 seats and is designed by world renowned Sandi Pei of Pei Partnership. A Must-see Experience – The House of Dancing Water is housed in a purpose-built theater designed with many breakthroughs including a stage pool that holds a record-breaking 3.7 million gallons of water, equivalent to 5 Olympic-sized swimming pools. This state-of-the-art theater provides the setting for an epic love story and spectacular journey through time, showcasing dazzling costumes, special effects and record breaking acts never seen before in a theater. The show is a must-see experience you’ll want to relive over and over again. Be sure to catch it, only at City of Dreams, Macau. Easily the largest draw for visitors to Macau outside of the casinos, the Macau Historic Centre boasts enough temples, ruins and pastel-colored colonial buildings to warrant an entire day of exploration. Collectively classified as a UNESCO World Heritage site, the Macau Historic Centre is an epic walking tour introducing visitors to the unique cultural fusion of Portuguese and Chinese heritage through architecture, religion and artistic styles. Here in the Historic Centre it’s possible to burn incense inside of a 15th century Taoist temple and only minutes later stand on the steps of what was once the largest Christian church in all of Asia. 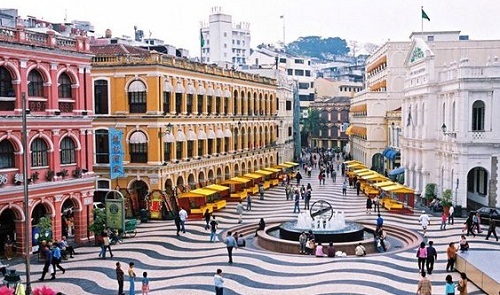 Stand atop a stone fortress intended for protection in times of war, or peacefully relax with an afternoon coffee in Senado Square where groups of Macanese city dwellers have gathered for centuries. While walking among the cannons at Monte Fort or photographing the façade of St. Dominic’s church head over to the nearby Macau Museum for three levels of artifacts and information pertaining to the past, present and future of modern day Macau. For views of the Pearl River Delta by day or the city lights by night, nothing surpasses the Macau Tower. Having ascended to the Tower’s upper limits in high-speed glass-fronted lifts, an unforgettable vista awaits you, while a delicious buffet caters for all tastes at the 360° Cafe. The Tower is 338m high at its highest point. The main observation level is 223m above ground. From the highest viewing deck it is possible to see 55km away. The Tower can withstand winds of up to 400km/h. The steel mast on top of the Tower is 90m tall. The Tower was designed principally by Gordon Moller of CCMBECA, New Zealand. Macau Tower is a member of the World Federation of Great Towers.